All passengers must present valid identification at check-in as well as upon boarding regardless of whether their flight is international or domestic. When flying to a destination outside the Schengen Area, passengers must also go through passport control. For Estonian domestic flights, acceptable travel documents are ID cards and passports. For international flights, acceptable travel documents are ID cards (within the EU) and passports. Pursuant to the Schengen Borders Code, all citizens of third party states must have a valid travel document entitling them to cross the border upon entering the territory of an EU member state. Upon crossing an external border, the travel document must remain valid for at least three months after the intended date of departure from the territory of the member states. The travel documents must have been issued within the last ten years. Please make sure already upon booking your flight that your travel document is valid and meets the requirements for entry to the destination country. Please find out whether you have to apply for a visa to enter the destination country or the country where you need to change planes for a connecting flight. Further information is available on the website of the Ministry of Foreign Affairs. When travelling, you must always have with you the alien’s passport as well as a document proving that you have an Estonian residence permit. New alien’s passports no longer have the residence permit sticker, which means that you need to bring your passport as well as your ID card which proves that you have a residence permit. Passengers have to go through passport control when arriving from or travelling to a country that is not a member of the Schengen Area (e.g. Egypt, Great Britain, Turkey, Russia etc.). Passport control is conducted by the Police and Border Guard Board. As of 2013, in addition to the regular border control, Tallinn Airport also uses an automated border control system. The latter can be used by passengers who are citizens of EU Member States or Schengen Visa Countries, are at least 15 years old, and hold a valid ePassport. The Schengen Agreement extends the fundamental right of EU residents to freely travel and work within the European Union. Currently, the Schengen Area forms an area of free movement consisting of 26 European countries where travellers are subject to border control only once upon entering the Area. 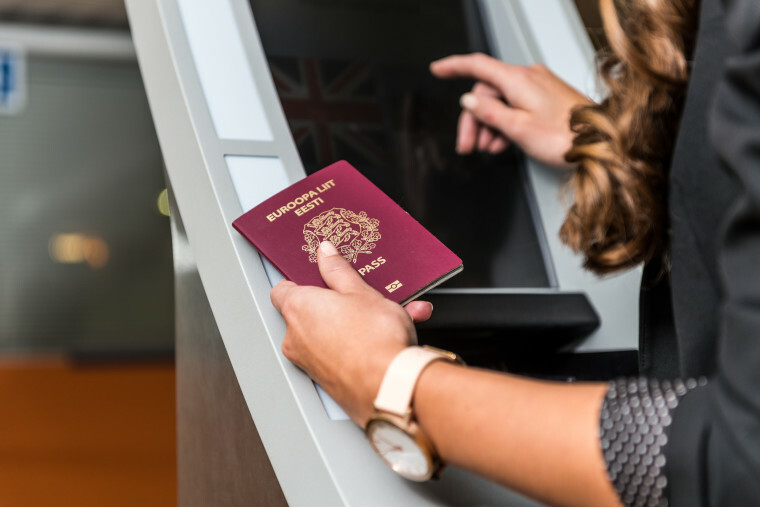 Although people are not subject to regular control on the internal borders of the Schengen Area you must nevertheless carry a passport or other identification (an ID card) because the authorities of the Schengen countries still have the right to check people’s documents.